Ranbuild Sydney have your domestic shed needs covered, whether you’re looking for a storage shed, a garage for your vehicle or boat, a simple carport, a secure workshop for your tools or a combination closed shed with open bays, our designs are flexible and durable. Ranbuild sheds are manufactured from the finest grade Australian steel products for added strength and durability. 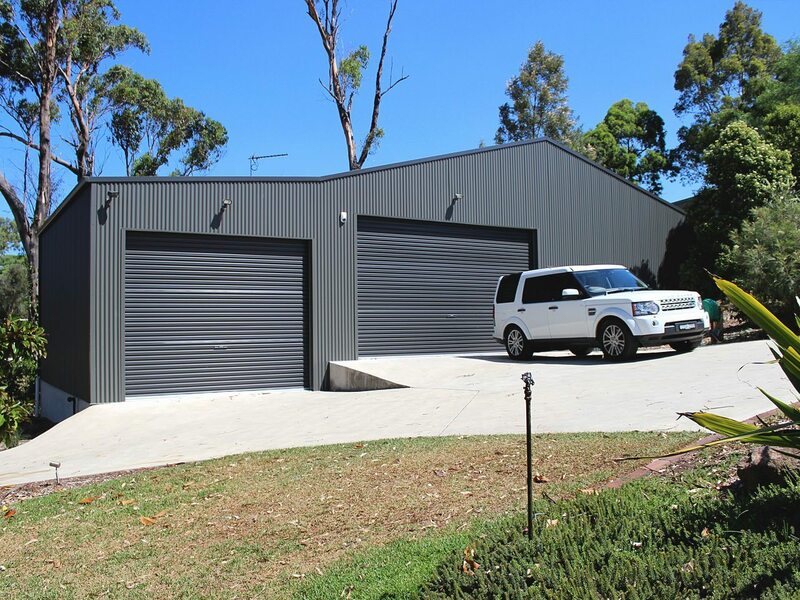 Framing and cladding are guaranteed by BlueScope Steel for up to 15 years (conditions apply). All shed designs are fully engineered in accordance with the Standards Association of Australian building codes and are supplied with documentation to simplify building approval. Our versatile modular design systems mean that you can create a building that fits with your home, your lifestyle and has all the features you need. Choose your shed span and then combine standard, wide or open bays, access doors, windows, skylights and more. Make a colour choice with Colorbond® or Zincalume® steel cladding for a shed that perfectly complements its surroundings. We have developed this extremely robust and durable design that covers everything from garages, garaports, sheds and workshops. The ‘Deluxe’ has been engineered for added strength and rigidity with its fully bolted frame and clear span design, it is highly adaptable for a variety of uses and strong enough to withstand the toughest conditions. Our economical building option for the budget conscious, you can’t go past the Ranbuild ‘Super’ range. It features a simple screw-together galvanised steel frame shed for easy construction without compromising on strength. 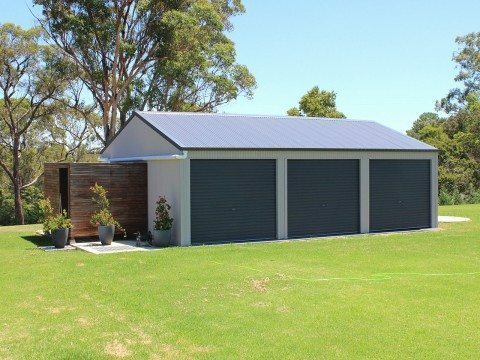 There’s a long list of options to customise your design to function as a garage, carport, storage shed or workshop to make a quality addition to your home.